Is cash tight? Are you frustrated with the state of your organization's finances? Do you need confidence that you're tracking the right metrics? Tired of flying blind financially? Need help interpreting the data? A lot of small business owners and nonprofit directors are secretly embarrassed that they don't have a firm grip on their finances. As a result, more and more of them are doing something about it. 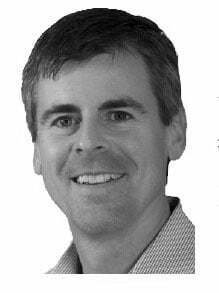 These savvy leaders are filling that financial insight gap by bringing in CFO expertise. If your company is up to $50MM in annual revenue, you probably want to hire a full-time CFO. If your annual revenue is less than that, but above $500K, then you would likely benefit from fractional CFO services. There are other factors which can affect your decision to contract CFO services, but these general annual income numbers give you confidence that you're in the range of businesses who bring in part-time CFO services. Interest in this niche is growing. 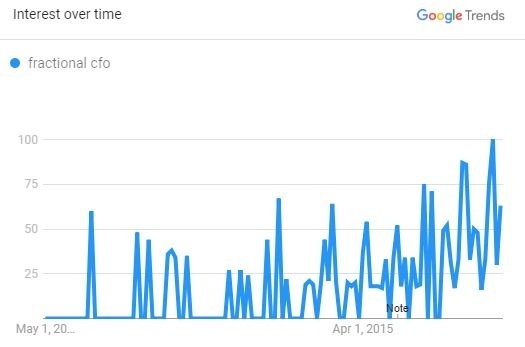 Here is a graph showing the rise of searches for the term "fractional cfo" on Google over the last 10 years. You can see the increase over the last couple of years particularly. We've seen that same increase in trends for similar outsourced CFO service search terms. CFO insights can be a critical factor as you continue to find ways to leverage your financial function to create a competitive advantage. Redesigning the entire accounting process. When you bring in an experienced fractional CFO, you're not only getting someone with helpful knowledge; you're getting someone who can implement processes which have been proven to work in other organizations. You might be surprised by the number of errors which can be eliminated and how much your financial team efficiency can improve. Overhauling reporting. Many organizations lack financial clarity because they don't get the right reports on a regular basis. A fractional CFO service will often come in and adjust or completely rebuild weekly, monthly, quarterly, and annual reports to deliver data which informs decisions. This may involve tracking new or different Key Performance Indicators (KPIs). The KPIs to watch often vary by industry and business size/growth stage, so look for a resource with experience in your industry if possible. Download our free Executive Growth Reports now to see what a top-rate reporting package looks like. And check out Financial Metrics for SaaS Companies During the Product/Market Fit Phase for an example of how growth stage impacts which KPIs matter most. Coaching the CEO/Owner. CEOs who are not financially-oriented look at numbers and see numbers. A fractional CFO can teach you how to look at numbers and see the story behind the numbers. So you'll not only get immediate insights from the CFO, you'll get the training which will help you become the data-driven CEO you've always wanted to be. Replacing technology platform(s). CFOs are often called on to audit and/or replace financial software platforms which should streamline processes and enable a business to scale. That's a tall task and one that will have long-term implications, for good or bad. These fractional CFOs are tasked with implementing and integrating all the solutions required for financial insights and tax compliance. Navigating a cash crisis. It is not uncommon for small businesses to seek CFO services when their backs are against the wall. A top-notch fractional CFO has been in the trenches before and can jump in and prioritize tasks by greatest impact to keep the lights on. The fractional CFO can also put cash management controls in place to ensure the business is never blindsided by a cash crisis again. These controls give you the time to respond if a crisis is on the horizon. Managing key stakeholder relations. When there's skin in the game, people get demanding. Some CEOs have the financial acumen to deliver the right package of reports to and field tough questions from boards, investors, or banks. But there's nothing wrong with bringing in a pro to help you navigate those important relationships. Most stakeholders like bringing in fractional CFOs because they are pragmatic--meaning the CFO doesn’t spend ahead of the need. Companies with boards or investors spend carefully because they know just how costly growth can be. Raising capital. Some fractional CFO service providers may be willing to hit the road with you as you pitch to angels and VCs. Others can prepare your financials in a way that will attract capital, even if they don't actively participate in those pitches and negotiations. Either way, find a fractional CFO with experience in fundraising, preferably in your industry. How many hours do fractional CFOs typically work? Fractional CFOs may work anywhere from a half day per month to two days per week. How much will I pay for fractional CFO services? Most providers will create a custom quote based on your specific needs. The spend can range from $1,200-$2,000 per day. Contrast that with hiring a full-time CFO at >$225,000 per year (salary + benefits), and you'll easily save 50% by outsourcing to a part-time CFO. When would be the best time for a seasonal business to bring in a fractional CFO? This answer could go either way, but it's worth thinking through. It might be good to bring in a fractional CFO during peak season because he can be available in the heat of the moment. Conversely, it may be better to bring in a fractional CFO during your downtime because you'll get more value during slower months. 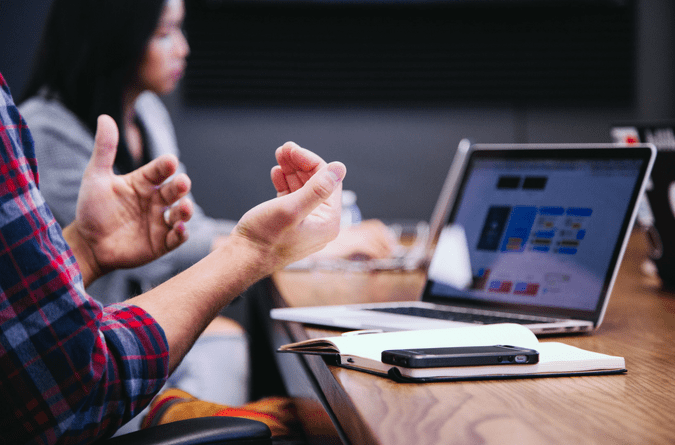 If you have a education technology SaaS firm, for instance, and you are twice as busy during the school year as the summer, you might consider having a fractional CFO during the school year to help you adjust to supply and buying patterns as they happen. But you also might consider having a fractional CFO come in during the summer because your team will not have time to interact with the CFO during the busy season. This period would be a great opportunity to firm up financial controls, establish a solid metrics framework, or do long-range planning. Or it may be best to have a fractional CFO work during the busy and slow seasons to get the benefits available during each. What are the first few tasks a fractional CFO should complete during a cash crisis? A recent report by JP Morgan Chase Institute found that less than 25% of small businesses have enough cash buffer to last 62 days, while the recommended buffer would cover them for three to six months. If you're experiencing a cash crisis, it would be good to understand the likely agenda of an incoming fractional CFO, so that you can be prepared to provide the needed resources and understand the adjustments which will need to be made. Here are the first four tasks a fractional CFO service provider might complete to help you keep the ship afloat. Establish cash management tools (weekly, six, or 13-week cash flow projections) to understand the severity of the situation and forecast a projected duration. Identify and present options for generating cash (stretching payables, selling, pulling in receivables, etc.). This task will include prioritizing actions for preserving and producing cash. Repeat actions daily or weekly depending on the severity of the crisis. Once the company is back on its feet, the CFO will establish reporting to provide a more advanced warning mechanism so that you can adjust quickly enough to avoid another crisis. If you're in the market for CFO services, you need to know what reports top-performing CFOs deliver, so you'll know a good one when you see one. Download our free Executive Growth Report now to see what winning business owners are using to drive growth.